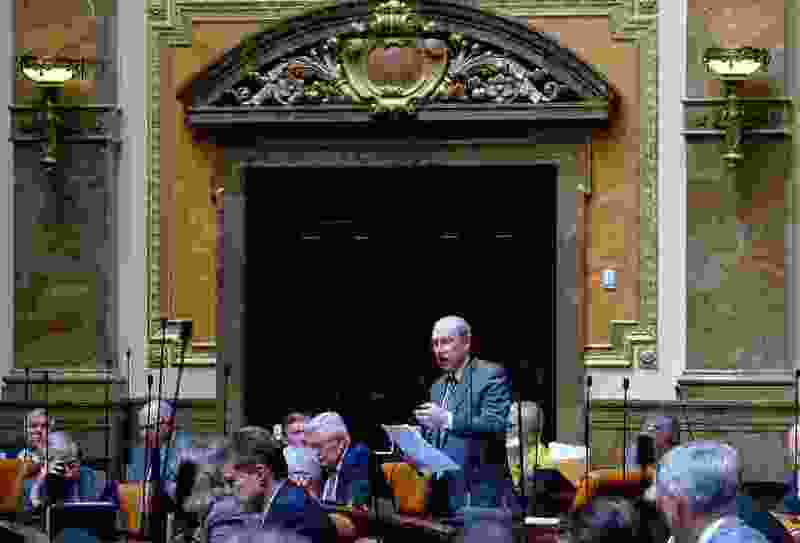 (Francisco Kjolseth | Tribune file photo) Rep. Merrill Nelson, R-Grantsville, sponsor of HB198, resurrects procedures to force the Utah Attorney General to provide the Legislature written legal opinions when requested, as already required by law. The Legislature called itself into special session on Wed. April 18, 2018, to attempt to override Gov. Gary Herbert's vetoes of two bills. Utah lawmakers will not consider how and whether people can change the gender on their birth certificates or driver licenses this year after the sponsors of two competing bills abandoned their legislation on Thursday. Both Rep. Merrill Nelson, R-Grantsville, and Sen. Todd Weiler, R-Woods Cross, agreed to defer consideration of their proposals, according to a news release issued by House and Senate Republican staff members. One of those bills, Nelson’s HB153, had been scheduled to be heard in committee Thursday afternoon but was removed from the agenda early Thursday morning. On Wednesday, Nelson announced that he had written a substitute version of the bill, which eliminated the controversial gender description and would have allowed Utahns to change the gender on their driver licenses, but not on their birth certificates. Weiler’s bill, by contrast, sought to establish a consistent process for Utahns to change their listed genders. The current practice is unaddressed in state code, leading to inconsistent rulings in the state’s courts as petitioners request to have their government-issued documents amended. Weiler said Thursday that the issue is a difficult one that faces many obstacles, but that the state, at some point, must address.